I’ve been developing ActionScript for a long time now and have done most of my editing inside the Flash IDE. I’ve tried other ActionScript editors such as SEPY, but was never satisfied with anything else. 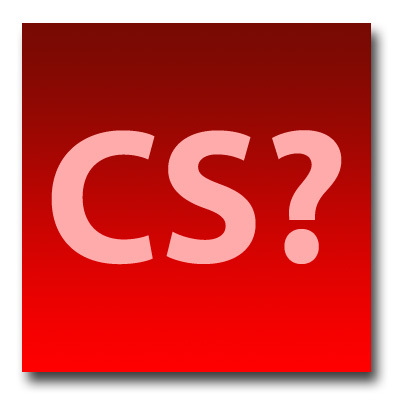 Surely, the code hinting, code completion, and overall performance of the ActionScript editor in Flash CS5 is much better than any other version. When writing code that would require a class file, the Flash ActionScript panel now imports the appropriate classes, which is nice. Recently however, I’ve been playing around with Flash Builder’s ActionScript editor, and I have to say, it’s pretty amazing. Not only is there code hinting, but it’s almost like coding with the ActionScript library in your hands. Available assets and their definitions appear side-by-side in an expandable view. Classes get imported when needed here too. When you start developing an ActionScript class in Flash, you have the option of developing it in the Flash IDE or in Flash Builder. I’m pretty sure I’ll be building them in Flash Builder from now on. The code coloring in both apps (you think they would be) are not the same though, so for an average Flash user, it takes a while to get used to the code coloring in Flash Builder. Another thing that’s a little aggravating about Flash Builder is the way it manages class structure and packaging. I’m sure in time, I’ll get used to it. So out of curiosity, what editor do you use? Can you recommend anything else? Getting the current time is easy in AS3 with the Date() class, however the default clock is the 24 hour (military) clock. We’ll get 16 for the hours at 4 pm. The solution is really simple. Just subtract 12 from the hours to get the 12 hour hour. In the past few weeks however, Time Machine has actually saved me some trouble. A file that I was working with became corrupted or unusable. Then I remembered Time Machine and went into it. Every time I do, my kids’ jaws drop as the desktop changes and the spaceship like interface takes over. I went back in history, grabbed an older version of the file and restored it to the desktop. I was then able to open the file and modify it. Of course, I had lost some development time, but being able to resurrect a file like that is really priceless. So as much as there is negative talk out there, Time Machine really proved useful for me. Making the transition from procedural (inline) ActionScript to Class-based scripting has been – admittedly – pretty challenging for me. Understanding what’s public and what’s private, how to structure your code, what are the necessary imports, getting class paths right, there’s just so much to think about that normally, with procedural scripting, you don’t have to. For example, importing classes is a complete nightmare of a task. What I discovered of late is that anything that is in the flash class library (ex. flash.display.MovieClip) is already available to you in the Flash IDE. Anything in the fl library (ex. fl.transitions.Tween) isn’t, so those need to be imported. Flash CS4 doesn’t automatically add the class import statements, but I hear that Flash Builder does and maybe CS5 will. With procedural scripting, the objects that you are talking to; movie clips, buttons, textfields, are all there on the timeline, so there’s no mystery going into it. Everything is right there. Most classes, as perfectly as they are built, will require additional code in the FLA anyway. I know about all of the benefits of class-based programming and it must be great to build modular code that is reusable – especially when you are working on a team – but I’m a one man show here. So, I ventured to try to create a simple example of a class file to illustrate how to program and test it. Start a new Flash ActionScript 3.0 file and also save it as NameCaller.fla. be sure to save it in the same location as the NameCaller.as class file. In the Properties panel, you’ll see a Class field. This is the document class. Enter NameCaller and hit enter. You shouldn’t see any warnings or errors when you do this. If you do, then you may have not saved the files in the same place. In the Flash file, add a dynamic textfield to the stage and give it an instance name of output. Save the file and return to the NameCaller.as class file. This really basic example will simply concatenate two variables with a sentence and display it in the dynamic textfield. How do you know when you need to import something? Well, if you see compiler errors that complain about it, then you’ll have to add them. Variables and functions can either be private or public. This has to do with security and access rights. Since these variables are public, we can use them outside of the class, such as in our fla file. We’re going to define the init function now. I’ve seen this in common practice – that the main function isn’t doing much other than calling on another function. We’ve given this function two parameters: fname and expletive. By doing this, we can set those parameters when we call on this function later in the fla file. The dynamic textfield will receive the full message. We just saved the class file in the same location as the fla. If we were building a complete application that required multiple classes, then we would need to explore that more, but this is just a simple example. When you test your Fla file, you should see the concatenated statement in the dynamic textfield. Homework: Try adding input text fields that would allow users to enter in a name and expletive. Try adding a Combo box component that allows users to pick an expletive.